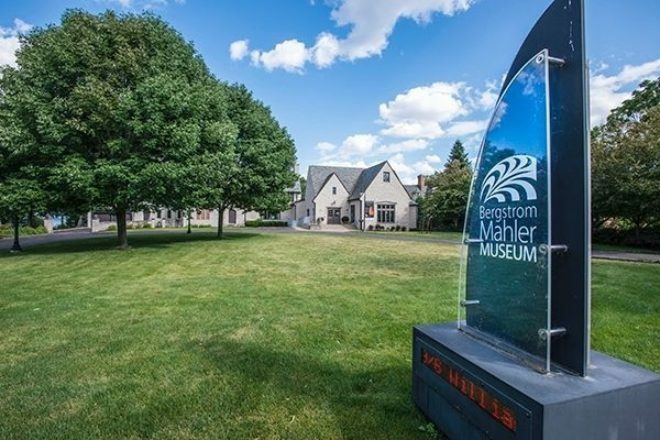 The Bergstrom-Mahler Museum of Glass in Neenah, Wisconsin, is seeking a graduate-degreed candidate with museum experience to fill the open position of assistant curator. 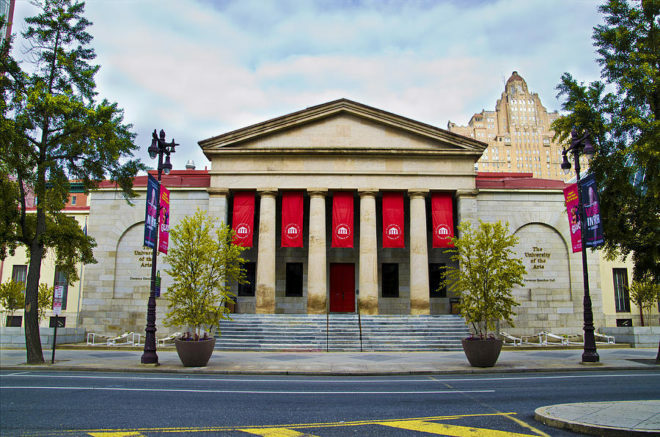 With a wide range of responsibilities -- from maintaining exhibit records to assisting in their organization, from overseeing exhibit installation to managing the museum's collections database, from maintaining donor records to engaging visitors through tours and written materials -- this full-time position that reports to the museum's executive director, Jan Smith, requires a masters degree in art, art history, museum studies, or related experience, as well as demonstrated ability in the Past Perfect museum collection management software. The University of the Arts in Center City Philadelphia is seeking an Assistant Professor for its Crafts and Material Studies Program who will serve as Glass Coordinator in the school's College of Art, Media, &amp; Design. Applicants must have an active creative practice and possess an MFA or comparable professional experience. 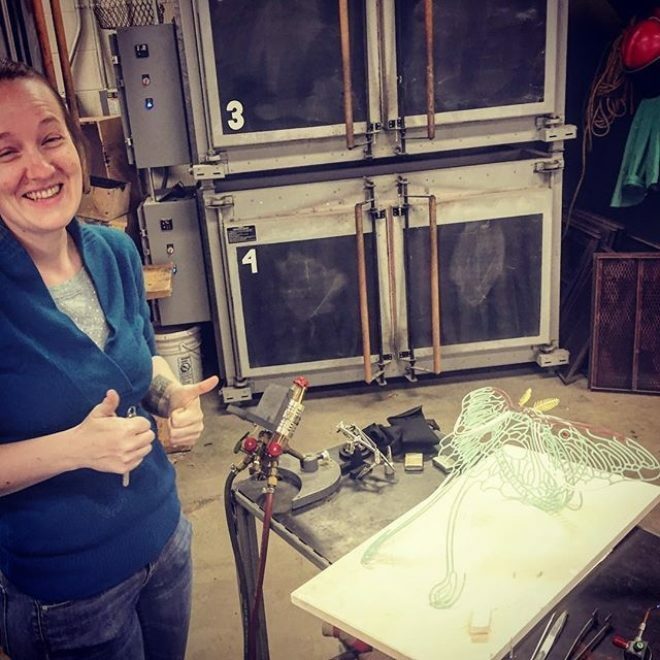 The practice may include blown or cast glass, stained glass, one-of-a-kind studio art, architectural commissions, and/or production design lines. The position comes with a 3-year, non-tenure track contract. There is no deadline to apply, but "screening" of candidates will begin on January 20, 2018, and "will continue until the position is filled," according to the job announcement. 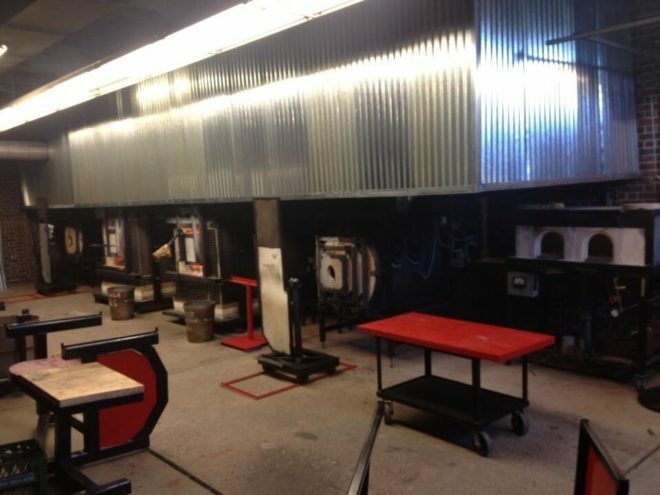 The hot shop in the Salisbury University art department. The Art Department of the University of Salisbury is looking to add a lecturer to its glass program teaching staff. The university is seeking a 3D artist who specializes in glass and sculptures in Salisbury, Maryland. This individual will teach full time for a period of 10-months, three lectures per semester, in the area of Sculptures and Glass. He or she will be responsible in advising student-workers and technicians, supervising their work, while also ensuring a safe and professional working environment. The individual will also assist the 3D area heads in facility and equipment maintenance and management. 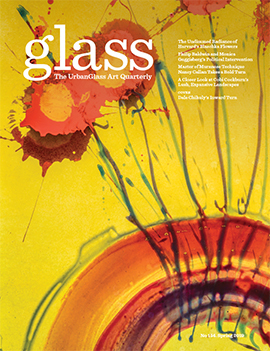 The Glass Art Society is looking for a new operations and program manager, a newly created position. This individual would report to the artist-organization's Seattle-based executive director, Pamela Koss, and assist her in all matters concerning the day-to-day operation of GAS. Additional responsibilities include managing and serving as a primary staff contact for work exchange and volunteer programs, ensuring office security and organization, and serving as a staff representative to certain board committees and preparing their reports, among other duties. The College for Creative Studies in Detroit is seeking a full-time crafts technician for nine months to maintain their craft studios, namely in glass and ceramics studios but also in fibers and textile, art furniture, metalsmithing and jewelry design studios. The ideal candidate would have an undergraduate degree in a craft field, preferably glass, ceramics, industrials arts, or crafts, and must be able to build, operate and maintain kiln and kiln controllers. Additionally, the candidate would be required to have strong interpersonal, organizational, and problem solving skills, as well as flexibility to work evenings and weekends as needed. Experience with CNC technology and welding skills are a plus, but are not required. The Bergstrom-Mahler Museum of Glass is seeking a full-time glass studio manager to program, oversee and teach classes for all ages; oversee studio equipment use; and engage in community relations by organizing events and outreach. Additionally, candidates may have to fire and assemble glass work, purchase studio supplies, recruit volunteers and instructors to teach and assist programs, and assist in developing a budget. Though this is a full-time position, the hours will be heavily based on the hours of program offerings. After playing a major role in bringing the 2017 Glass Art Society Conference to Norfolk, Virginia, last month, Chrysler Museum of Art Glass Studio manager and program director Charlotte Potter is heading for the exits. 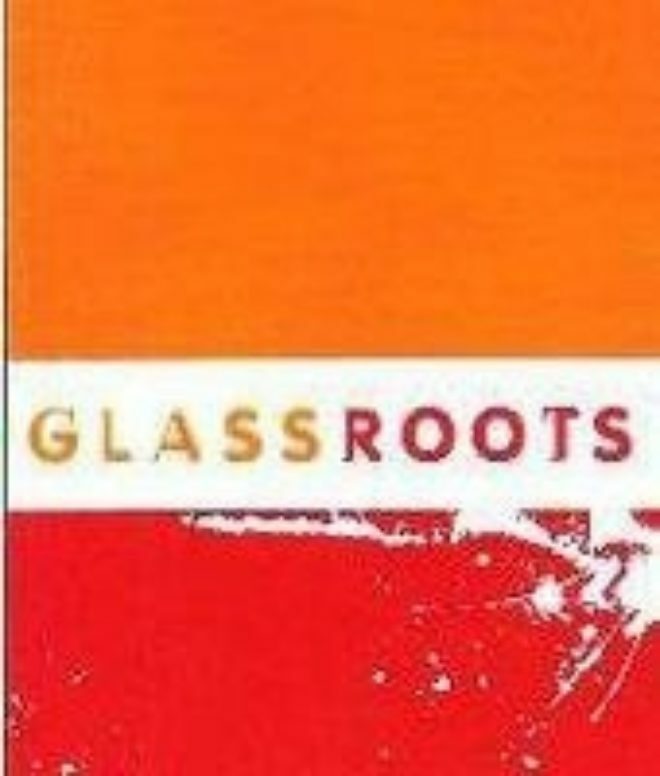 Potter told the GLASS Quarterly Hot Sheet that she plans to leave the job she's held since 2011. Potter, whose leadership put the Chrysler Museum of Art’s Perry Glass Studio on the glass-art map, plans to move back to her home state of Vermont by November. There she will focus on raising her newborn daughter and continue to pursue her successful art practice. Though it hasn't yet launched an official job search for Potter's replacement, the Chrysler Museum of Art is starting the process of finding a new glass studio manager and programming director to take over Potter's important role running the studio, which itself is in the process of being expanded in response to its considerable success drawing crowds and attention. The Pittsburgh Glass Center is accepting applications for the full-time position of Development Manager. The nonprofit art center includes a public-access glass studio, visiting artist residencies, an education program, and ambitious exhibitions. This brand new position has been created to support the glass center's expansion. The center has come to grow and develop its individual giving, corporate sponsorship, and new foundation support. As part of the job, the development manager will be responsible for a number of tasks that uphold fundraising. These tasks include, "researching new foundation prospects, grant writing, funder reports, individual donor research, cultivation, and tracking, corporate sponsorship and other administrative duties". 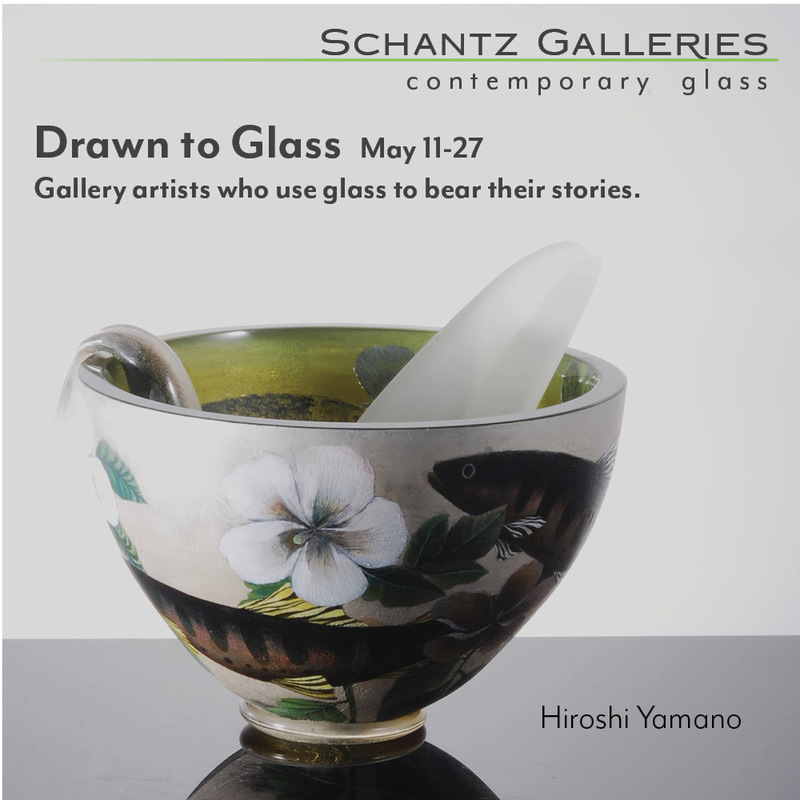 The Toyama City Institute of Glass Art hot shop. 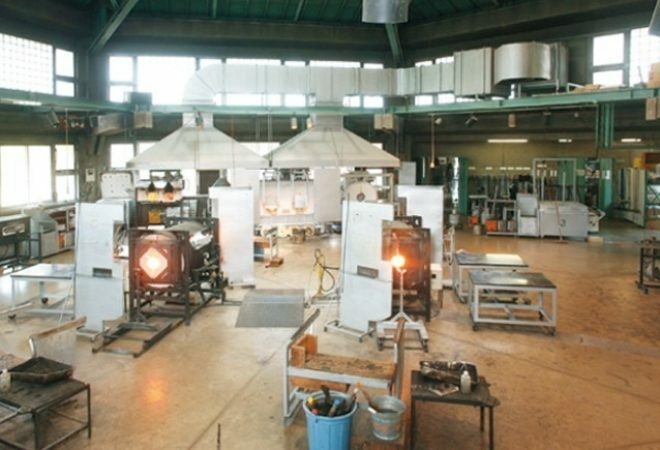 The Toyama City Institute of Glass Art in Toyama, Japan, is seeking a hot work professor or associate professor for a contract position. Applicants must have at least 10 years of experience, hold a degree in fine arts or glass, and either currently teach or work primarily as a practicing artist. The advertised position will run from September 1, 2017 to August 31, 2019, with the possibility of an additional two years.